During the Sephora Chic Week sale, I picked up a few goodies including this lip balm from Fresh! 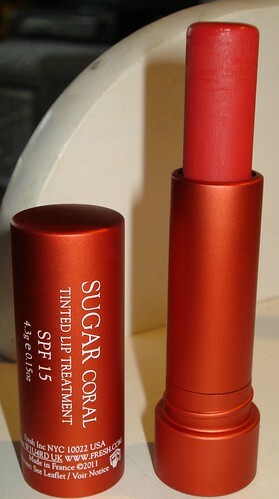 I'm a HUGE fan of the Fresh Sugar Lip Treatments! I'm on my second original tube and have the color Passion! 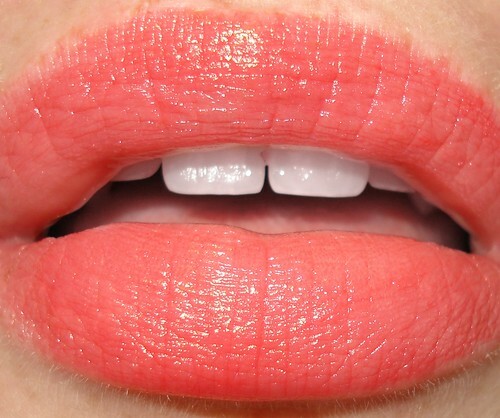 So when I saw that Fresh released a lip balm in coral, which is very on trend for the season, I had to order! The Fresh Lip Treatments are ultra moisturizing, lemon scented, SPF 15 lip conditioners. I use the original one, or the clear, every night before bed and my lips feel amazing and very moisturized. My lips feel very plump and full while wearing these. 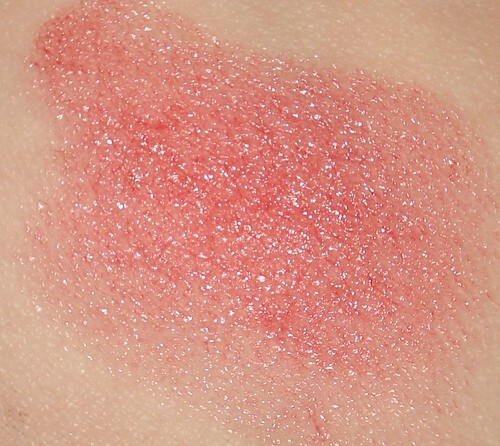 Which might be because of fatty acids in the balm, it doesn't tingle but just makes lips feel smooth and plump. I'd say the coral color is very, very easy to wear. It's not bright, but is a soft orangey-peach-coral. I really love pairing this with a bronzey eye, it compliments the look without being POW CORAL! Overall, I love this! But $22.50 price tag? Its pricey! However I'm constantly reaching for one of these balms, they protect from the sun, add a kiss of color and leave lips soft and plump! Love! Available at Sephora stores, sephora.com, fresh.com and wherever else you can find Fresh products.